Welcome to my stop along the blog tour for Kay Marie’s Hot Pursuit, hosted by Xpresso Book Tours! 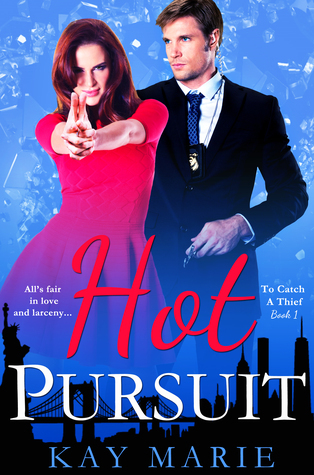 I’m excited to share an excerpt of the book with you today to get you even more excited to read Hot Pursuit, which has been marketed as “How to Lose a Guy in 10 Days meets White Collar”. Read more about the book below and make sure you enter to win a $25 Amazon gift card! He didn’t want to notice the perfect O her plush lips made as she said her name, but he couldn’t control it…or the immediate reaction his body had at the sight. Nate froze, jaw clenching as he fought to control the blood rush coursing to a very distinct place. Jo leaned closer, tightening her grip. He jerked back, shaking free of her hold. She sucked in a breath. He leaned back just enough to stare into her eyes, not at all liking the defiant golden sparkles dancing at the centers of her irises, flickering like sunshine through a dark forest, brilliant and burning. The air between them was tense. A silent battle of wills. Both fighting for the win. Static cracked loudly over the two-way radio. Jo didn’t move except to perk one corner of her plush lips, watching him unflinchingly, victory simmering in her eyes. Nate took a slow step back, eyes never leaving her for a second. His gun was four feet behind, resting next to Leo’s on the control panel. But his phone was on the table, along with his notes. All within reach of her thieving hands. A pulse of static coursed through the radio again. A small smile danced across her lips as she mouthed, Parker. 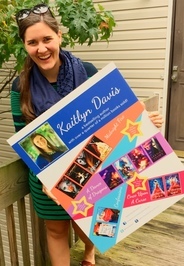 Sign up for Kaitlyn’s newsletter to stay up-to-date with all of her new releases, to receive exclusive subscriber bonus content, and more! Today’s topic is a back-to-school, learning freebie! I teach in an elementary school, and we started back last Monday. The first week was chaos, as it always is, and today I danced in front of an entire school full of kids for a back-to-school assembly. Anyway, I’m obsessed with school supplies. When the back-to-school sections start popping up at Target I get all excited. It’s so fun to walk down the rows and look at all the fun pens, notebooks, and art supplies. I want to buy it all! So I’m going to share with you book covers that feature school supplies. I’ve read a few of these books, but most of them are still on my TBR (I put asterisks by the ones I’ve read)! That’s part of the fun for me, and a cool way to feature new books rather than a handful of the same titles each week. These slumps can last a LONG time. I think my longest one lasted for a year, and I almost died. It’s a very serious matter. When this happens, you need an amazing book that you just can’t help but love. A book that is not too complicated, and grabs you from the very first page. Hopefully today’s prompt can help the silent sufferers out there. We’ve got you. Sometimes you need to travel to a really magical world. Be careful with these… A Court of Thorns and Roses was the reason I fell into a reading slump that lasted a year. But oh my, it was amazing. And A Court of Mist and Fury is even better. But seriously, BE CAREFUL. Maybe you need the magic of young love in the city of light. This book is pure joy. It’s light and fun and there’s a cute Parisian boy. A change of pace can often help. This book is just so different from my typical reads that it totally enthralled me. The writing and the atmosphere are captivating. I highly recommend listening to the audio. It’s perfect. Do you need to remember how to love words again? This book will make it happen. My reading slumps frequently have me turning to TV instead. 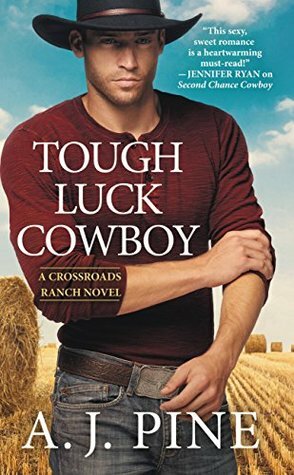 Reading a book spin-off of a favorite TV show is the perfect way to get you back to your regular reading ways. Plus, this Veronica Mars mystery was awesome. Maybe you need to feel uncomfortable. This book is so wrong, and it makes you feel all kinds of weird things. Like sympathy for the sick-in-the-head psycho guy. I flew through this and was at the edge of my seat the entire time. Sometimes you just need a crazy mystery that grabs hold of you and leaves you with no choice but to read and discover what’s going on. Or MAYBE you need a really swoony historical romance that takes you away from this life. Perhaps falling in love with a sparkly vampire is all you need. This book reawakened my love of books after being dormant for over a decade, so… epic reading slump crusher. Sometimes an old friend is all you need when nothing else is working for you. Re-reads are good for the soul. What’s a book you guarantee is a reading slump crusher? This week’s topic isn’t book-related, but it’s definitely bookish! I thought it would be fun to share our favorite book blogs and/or bookish websites (besides Goodreads because duh…) because I know I’d love to find some more blogs to add to my reader and great bookish resources to bookmark. This fun website has you entire the title of a book you loved. The website analyzes your pick and then spits out the title of another book you’ll probably love, too. How would you like an email of free and discounted ebooks sent to you everyday? You even get to choose the genres you love. Check out digital books, audibooks, and music with your library card (provided your library participates)! If you love Top Ten Tuesday, you’ll love this place. Sooooo many bookish lists! An awesome blog for bookish news, reviews, and merchandise. 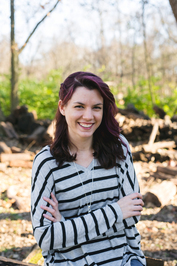 HarperTeen’s community and blog for young adult book lovers. They post some really fun stuf like infographics and book quizzes. All the bookish things we need to own! Ok, it’s not a site… It’s an Instagram account. But I honestly think it should count in this situation. It’s a Tumblr devoted to pictures of cats and books! What’s not to love? What are some of your favorite bookish blogs and websites? 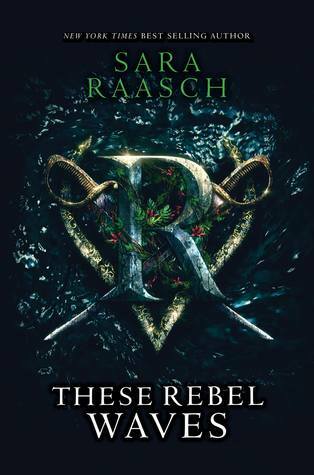 Welcome to The FFBC’s blog tour of Sara Raasch’s These Rebel Waves! 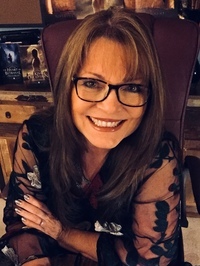 As one of the brand new co-owners of The Fantastic Flying Book Club, I get the exciting privilege of hosting Sara’s welcome interview here on my blog! It’s a day late, but oh well! We’ve had some craziness going on over at The FFBC with life stuff and me being added to the team only recently, so we’re still ironing things out. Without further ado, here’s Sarah! Hello Sara! We are super excited to talk to you about THESE REBEL WAVES and to have you on tour with us. At the moment? Such a mean question! But I always love PRINCE’S GAMBIT by CS Pacat, the second out of her Captive Prince trilogy. It’s…well, let’s just say yummy and surprising. Parks & Rec! I could rewatch it forever. I rewatch the Shrek movies an embarrassing amount. Welcome to the Black Parade by My Chemical Romance – I listened to it nonstop while writing THESE REBEL WAVES! 7. What were your favorite books growing up? I LOVED the Felicity the American girl series. All of my earliest writings were inspired by Revolutionary War America/Felicity. “Keep Moving Forward,” by Walt Disney. Captive Prince by CS Pacat. Avatar: The Last Airbender. ZUTARA. 10. 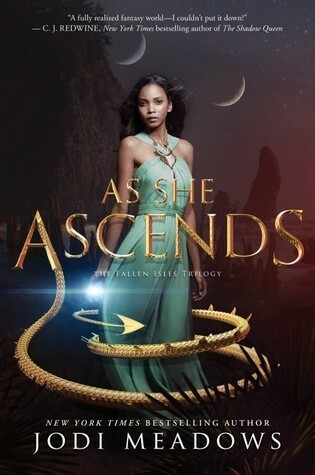 Name a recent book you read that you would recommend to our YA fans? SEAFIRE by Natalie C Parker! Futuristic female pirates? SO GOOD! 1. Could you tell our Book Addicts a little bit about THESE REBEL WAVES? THESE REBEL WAVES is a YA fantasy inspired by the Golden Age of Piracy and the Spanish Inquistion. It takes place on the fictional island of Grace Loray as well as the country that used to own said island, Argrid. There’s botanical magic and post-war struggles and politics and romance. 2. Do you have any fave books/movies/tv shows that feature pirates? I just barely started Black Sails—it’s so intense! The actors are AMAZING too. I’m also in love with Natalie C Parker’s SEAFIRE, another YA fantasy about pirates coming out this August! 3. What 3 hashtags would you most associate with your book series? (Could be a word or phrase or anything that would instantly make you think of THESE REBEL WAVES). 4. Tell us your favorite quote from THESE REBEL WAVES. It’s a funny line between Vex (the pirate character) and Lu (the ex-soldier girl) where she’s been constantly correcting what Vex calls her, and he finally snaps. 5. Is there a specific scene that you had the most fun to write? Or which part was the most difficult to get through? Every scene between Lu and Vex was so much fun! They banter nonstop, and pick at each other, and it’s just hysterical. Ben’s scenes were always difficult to write because he’s hiding so much from everyone around him that it made it difficult for me to get at the root of his motivations. 6. If you had to pick one song to be the Theme Song for THESE REBEL WAVES– Which one would you pick? Welcome to the Black Parade by My Chemical Romance. I have a whole music video planned in my head! 7. Are there any recommendations you could give your readers to be in the “perfect mood” to read THESE REBEL WAVES (specific music, snacks…)? Preferably sit in a lush garden, humidity thick on the air, surrounded by the smell of greenery and dirt and maybe, just maybe, a hint of magic. The sequel to THESE REBEL WAVES comes out next summer, and I have a few other projects lined up that I can’t talk about yet. But hopefully I can share soon! Thank you so much for everything, Sara! Thank YOU! This was such fun!! This week’s topic was submitted by Rissi at Finding Wonderland, and is “Books You’d Mash Together (pick two books you think would make an epic story if combined)”! Which books would you love to smush together and read the resulting story? Or maybe you don’t want to mash-up the entire story, just certain elements or characters? Maybe you loved the world in one book and the characters in another and want to put the best of both books together. Whatever the case may be, I’m excited to see which books you’d like to mash together this week! Unfortunately, life got ahead of me and I was unable to put enough time and thought into this topic, which is a whole lot harder than I thought it would be! I’m sorry! I promised myself I’d never let this happen! 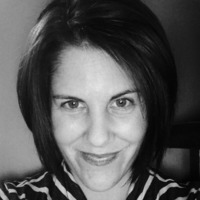 I am, however, posting the Linky so that you can still link-up and bounce around to other blogs. Tell me some of your book mash-ups in the comments! Also, tell me how you balance real life with blogging life because I got so behind this week!